Jeff Warren and I were invited to Colorado by his old high school to give a lecture and workshop on design. 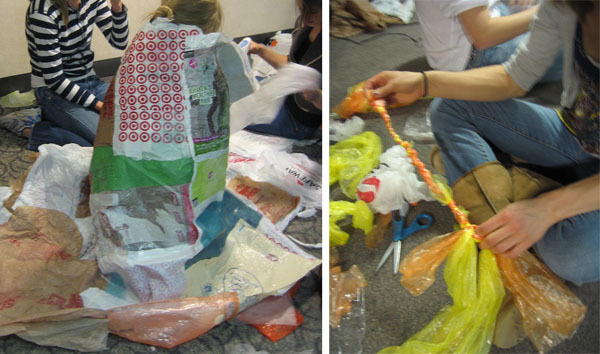 Jeff and I had both been toying with reusing plastic bags to waterproof things. 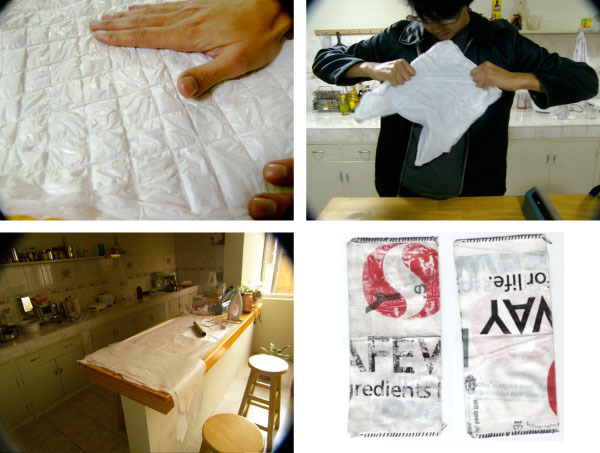 I had been ironing sheets of plastic onto cotton clothing, Jeff worked on shoes, wallets and more. 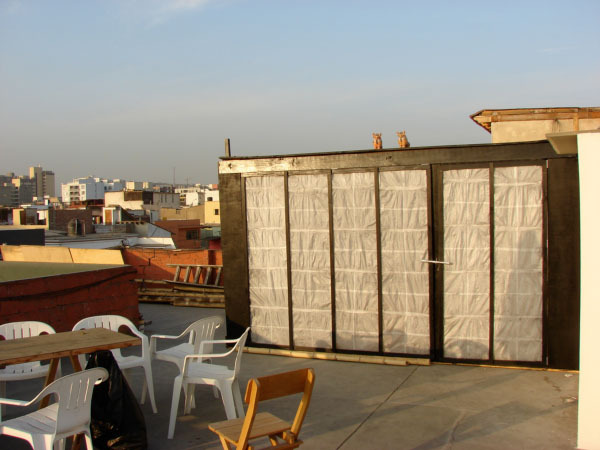 While Jeff Warren and Jeff Goodman were working on plastic bag recycling in Lima, Peru, 2007, Jeff Goodman ironed plastic bags together for the waterproof membrane for a shelter he lived in for 8 months. 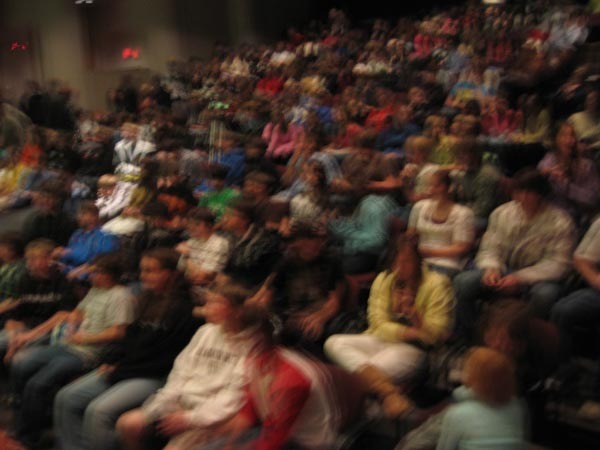 At Alexander Dawson Highschool, we gave a talk on trickle-up design, and how anything we needed to think about who everyone is in these design process– there is no ‘they’ or ‘them’. We talked about the design process at MIT and how it’s different from what we did before. We had the parents save up plastic bags and bring them to school, stopped by the Boulder Goodwill and brought old irons, hair crinklers and other things that got hot, and had the kids all go to town with heating and sewing. It’s a nice material, you need to iron the plastic between layers of paper or wax paper, and then you can cut, sew, do whatever. The colours can come out great, too. Our flight was a few hours after the workshop ended… I don’t know who did all the final clean up, but thank you!